These unique fish have an upright position, a horse-like head, and a prehensile tail. 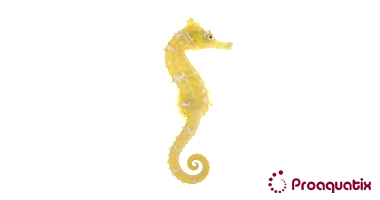 The lined seahorse coloration varies from grey, black, brown, yellow, orange, and red. They range in size from 4” to 7.5”. Hippocampus erectus do best when kept as a mated pair, or with a small group of its own kind in a species-specific aquarium. They may also be kept with small, passive fish such as, pipefish, dragonets, small gobies, and dartfish.